Cut tomatoes in half. Grind in blender chicken fillet or use meat grinder. Mix fillet with mayonnaise and melted cheese. With culinary syringe, put the fillet mass on a cracker. 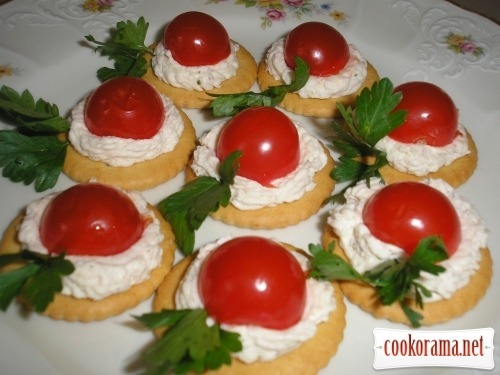 Spread on the half of crackers half of tomatoes. Decorate with parsley springs. 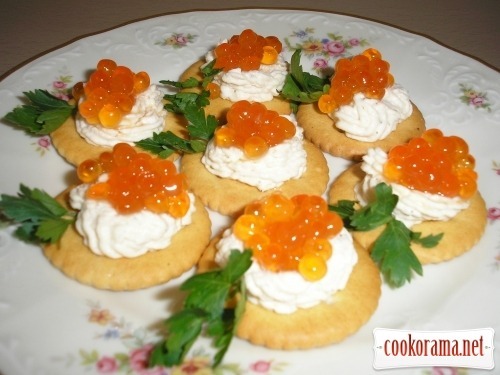 Spread red caviar on the other half of crackers. Decorate with parsley springs. 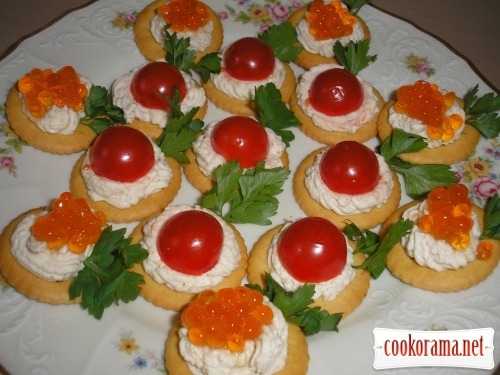 Top of recipe "Canapes with cherry tomatoes and caviar"
Гарненькі, і універсальні, і можливі варіанти.